Camp is a few months away, but we’re already busy prepping for this summer at Waukeela! March is an exciting month for us – we attend the largest gathering of camp professionals in the world to find new and exciting ways to make summers at Waukeela even more valuable for your child. Tri-State is a great resource for our staff to learn a little bit more about the camp experience and what it means for children in the everchanging 21st century world. Some highlights from this year’s Tri-State conference include a presentation by Susan Cain, who will share some of her expertise on introvert personalities to teach camp leaders how to build a more inclusive environment for campers. We hope to bring some of this incredible knowledge back home to our Big Sister program and staff training so each girl can feel at home during her time at Waukeela Camp. We’ve frequently stressed the importance of honoring each girl’s personality at camp. 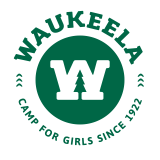 While many campers can acclimate to the summer experience quickly, some girls may feel nervous or homesick during their first few weeks at Waukeela. Our program is designed to help girls adjust to camp life through support, leadership, and a wide variety of camp activities so each girl can find her groove in an interest she enjoys. Tri-State is just one of the many ways we monitor new developments and gather new information on how to best benefit girls as they blossom into leaders, artists, and adventurers at Waukeela Camp. Another great feature of Tri-State is that it gives camp directors and staff the chance to meet with other industry professionals to talk about areas of improvement and innovation. As many of our camp families know, Waukeela’s traditions have remained the same but our facilities and programs are constantly improving to meet the needs of campers. Attending these industry conferences is important to us as an American Camp Association Accredited Camp. It helps us stay on top of new trends, educational techniques, and technologies while also maintaining our integrity as a traditional girls camp. We believe that every summer is an opportunity to do a little more, be a little better, and have a positive impact on girls’ lives. As we prepare for Tri-State this week, we hope you are as excited as we are to return home to Waukeela this June. Until then, we’ll be counting down the days!